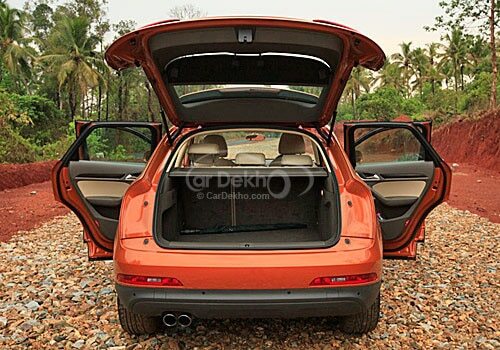 The all new Audi Q3 has been launched in India for an attractive price of just Rs. 27.37 lakh (ex-showroom price Maharashtra). This is one of the most affordable luxury compact SUVs available in the markets and it comes with the list of most innovative and exciting features on board. This SUV is coming with the Quattro petrol engine mechanism that enables the vehicle to produce tremendous power and delivers unmatched performance. The German Automaker has managed well to update this vehicle and to place it in the markets with much reasonable price tag. At present it is offered with the petrol fuel option. Initially, the car was available only with diesel trim but now it is being made available with the petrol trim in order to bring down its price tag. At present, this SUV is being rated as one of the most powerful SUVs in the compact SUV segment. By launching the Audi Q3 with petrol engine, the company has offered one more option to its customers that will let them to choose in between petrol and diesel trims. It was first launched in 2012 June and it has managed to get over 500 bookings in just five days of its launch. 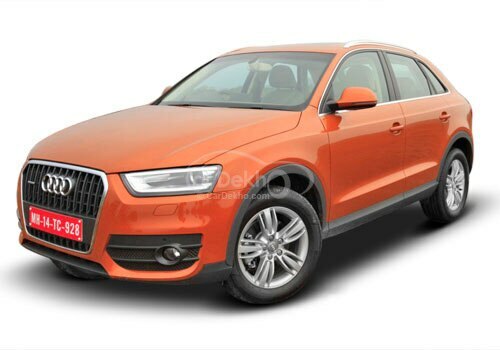 Now the newly launched 2013 Audi Q3 is expected to boost the sales of Audi Cars in India, which indeed gives tough times to its rival BMW. If it comes to the discussion about Audi Q3 features and mechanism, it is equipped with 2.0 liter TFSIq, 4 cylinder petrol mill with a displacement capacity of 1968cc. The engine of Q3 can produce 174.3Bhp of peak power and the torque of about 380Nm. On the other side, it has got advanced 7 speed automatic transmission gearbox that enables the vehicle to accelerate from 0-100Kmph speed in just about 6.9 seconds and the maximum speed is about 230Kmph. This vehicle is coming with AWD drive option, which will further enhance the driving experience. The car comes with tons of features such as air conditioner, power windows, power steering, cup holders, air quality control, automatic climate control, rain sensing wiper, power adjustable rear view mirror, Anti-lock braking system, sun roof, moon roof, and many more features. Most important thing about the engine of Audi Q3 is that it has won the “International Engine of the year” award for the fifth consecutive year. As you can see in the Audi Q3 pictures that the Q3 SUV is the most stylish compact SUV you can purchase in the markets and moreover, its price is very competitive. The new Audi Q3 price is just Rs. 27.37 lakh, which is very reasonable. Recently, Honda company announced that Honda Brio VX car is expected for a lunch by the end of this April, which is just few weeks away from now.